Sanuvox is the leading manufacturer in Ultraviolet Air and Object Purification holding domestic and international patents, bringing to markets around the world, products and solutions for virtually any indoor air quality issue. The Sun delivers specific UV wavelengths that destroy and deactivate biological and chemical contaminants that are introduced into the atmosphere. Sanuvox proprietary Mercury Vapor Ultraviolet Lamps produce the same UV wavelengths the Sun produces. UVC (Germicidal 254 nm) and UVV (Oxidizing 187 nm) produced using pure fused quartz glass are combined into one single UV Lamp/Emitter. UVC energy attacks the DNA of a living cell, penetrating the cell membrane, breaking the DNA structure of the microorganism, inhibiting reproduction. UVC is effective in destroying biological contaminants and odors such as mold, bacteria and viruses. The Centres for Disease Control (CDC) recommends this method for destroying viruses such as tuberculosis. UVV (Vacuum UV) is used for Oxidization; this is the portion of the Lamp that destroys chemicals and odors, such as cigarette smoke, VOC’s, diesel fumes, formaldehyde, amongst others. 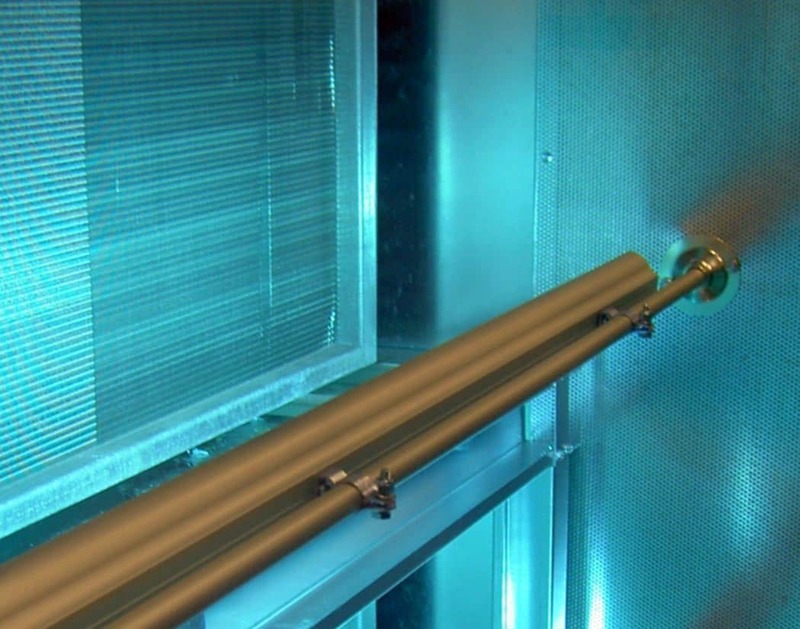 Both UV wavelengths work together to destroy thousands of biological and chemical contaminants that continually circulate within the building’s envelope. Depending on the application, Sanuvox will use UVC, UVV, or a combination of both wavelengths to achieve the desired results.